An ancient tradition fermentation method has passed through centuries down to this day. QYZ’s use of plant-oriented and multi-formula concept creates the most effective function of the enzyme. Different from other general enzymes, in addition to containing fruits and vegetables rich in nutrients, but also precious multi-herbal formula is added. It is a "strengthening", "focus" and "essential" enzyme product, allowing us to nourish our physical body. QYZ is Ideal for: the families who pay attention to health, adolescent development, middle-aged, seniors, 3C Group who are heavily using their eyes, allergies and so on. (1) Guan Hong designs a serious of functional enzymes using natural ingredients (fruits and vegetables) + multi-formula concept (herbal ingredients). Each product has its particular function in helping our body to overcome specific health issues. (2) Based on 5000 years of Chinese ancient wisdom plus cutting-edge-bio-technology, Guan Hong realizes the Chinese "Medicine and Food are the same Source" concept and the concept of "Prevention is better than Cure". Each QYZ formula is unique and is Know-How. (3) Each ingredient is fermented independently. - Different material has the best ferment time. When all materials are fermented together, some of them may be ready, while others are not yet, or over ready. - Different materials have different characteristics. According to the Chinese 5 Elements concept, the materials may compete against each other during the fermentation, thus leading to the enzyme products with less efficiency. 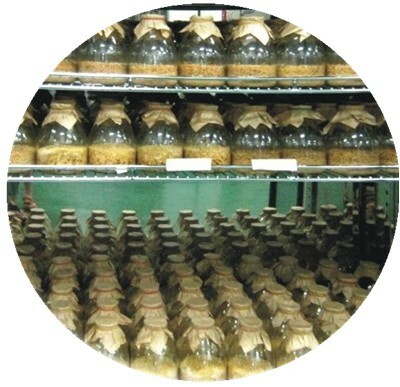 After years' research and analysis, materials generally need at least one year and 3 months to become completely fermented and the fermentation can present the maximum effect when each of the main raw material ferments independently to the completely mature. We ferment the material independently to complete maturity. It is unique. After that, we combine the materials in a further process to ensure the materials work harmoniously to generate the strongest energy and yield the best result.